Android App vs. iPhone App: Which Do You Choose For Your Startup? 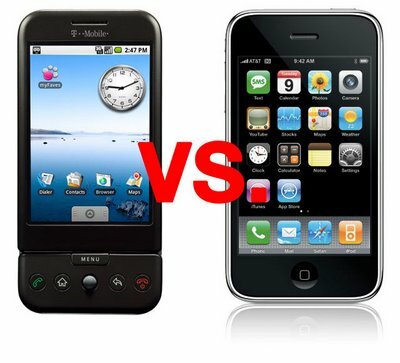 Posted on August 26, 2010 Author by Mark Hall	No Comments on Android App vs. iPhone App: Which Do You Choose For Your Startup? Technology is remarkable. Twenty years ago, a company’s best method of delivering content, products/services or messages to their customers was through a brick-and-mortar retail shop. Ten years ago, the web began developing as the “go-to-place” for distributing information or products/services. Now, the world of mobile applications is putting a strangle-hold on content and product/service delivery. Beyond the user interface, the iPhone gained its cult popularity because it gave users the ability to download mobile applications. It is important to note that with the development of the iPad, there is now a new platform to release an application on. Developing for the iPad is very similar to the iPhone. To learn more about developing for the iPad, click here. Have you considered developing a mobile app? Have you already developed an app? What strategy do/did you use to determine what platform is/was right for you? Leave a comment below because I would love to hear from you. Next Next: School is Back In Session… Where is your Intern?